My dad and his crew would usually suit up in the dark and would paddle out just as the grayness of dawn would lead to morning. Years of sitting did delegate me some responsibilities…. like watching everyone’s gear (i.e. car keys), taking pictures, but none so valuable than realizing that many of the crew relied on me to scream “Outside…. 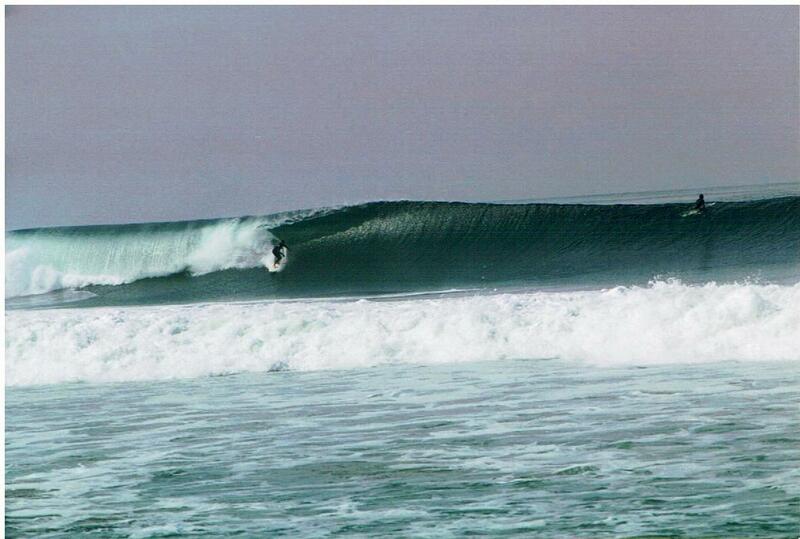 Outside” when a monster set would roll in; they would need to paddle and get out of the impact zone.When I entered my teenage years, my dad discovered snowboarding. He treated my brother and I to a penny-size budget snowboard trip when I was 16 and I fell in love with the sport. 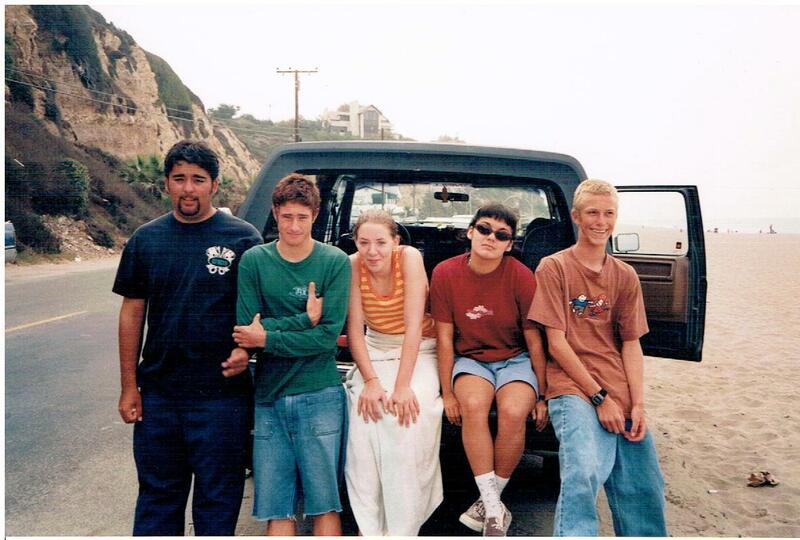 Like our surf adventures, I have over a decade of memories of crazy snowboard adventures… getting up at 2:00 a.m., driving 5 hours in rain and snow, changing in bathrooms at the lift parking lots before sun up… all that before the adventure of riding all day even began. Those are stories for another day. We moved to South Georgia in early 2011 and over the past couple of years I have watched my little girls grow into a talkative preschooler and toddler. I know that since they will not be raised by a crazy So Cal surfer and their chances of being competitive snowboarders are extremely unlikely, I do wonder how I will guide them? What will their childhood be like? Will they ever know the excitement, the sense of adventure of a midnight wake up and a long trip to do something exciting, something that pushes them, gets their adrenaline pumping? I ran my first 5k when I moved to Georgia. It wasn’t anything fancy, nor did I have a great finishing time, my best times were and still remain when I ran in the Army. After investing in a very fancy, definitely out of the budget double jogging stroller, I started running with my girls once in a while. They did not care for it at all in the beginning and many runs were cut short with mommy yelling and me letting the girls out to play. After time, we have all worked together to find a system that works. I decided to run my first 5k with them in the double jogging stroller in October 2012. Race prep took at least three times as long, since there were three of us, and I loaded down the stroller with snacks, juice boxes, crayons and coloring books, and an iPad. We got to the race site early so they could play and run around. When it came time to run, they gladly jumped into their seats and enjoyed the 31:00-ish ride. Since then, we have run many 5ks and braved one 10k. I’ve learned how to keep it interesting for them – usually involves letting them blow bubbles during the race, having snacks, juice, and lots of treats. This morning’s 5k was a very special run. I made the decision a few weeks ago to run in the Mayhaw Festival 8th Annual 5k instead of the popular Palace Saloon 5k in Tallahassee; it was a tough decision since it seemed like most of my friends were running in the Palace Saloon 5k. 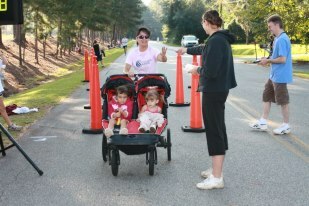 I knew the Mayhaw 5k would be small and family friendly, something one must consider when pushing a double jogger. The run also meant a one hour drive to somewhere I had never been. Race prep started Thursday night. I pulled out the stroller, checked the air pressure in the tires, got the famous Hello Kitty running skirts out for my girls along with some t-shirts and long sleeve shirts just in case it was on the cool side. I got my running gear out as well. Friday morning, my two-year-old got up and saw all the gear laid out in the living room…. you would have thought it was Christmas morning on account of how excited she was. After work on Friday, we made custom Boston bibs to wear and loaded up the gear in the car. I talked to my oldest and told her that we would be getting up early and that I would put her in the car in her pajamas so she could sleep; I would dress them when we got there. 5:00 a.m. Saturday morning came quickly. I had a cup of coffee, got myself ready, loaded up the car, and turned the GPS on my phone on to guide us. As I was making trips to the car, my oldest woke up at 5:30 and said she didn’t want to sleep in mommy’s bed, she wanted to get in the car. It was clear, she was excited. I put her in the car with some extra pillows and blankets and then went back in to get the toddler. The toddler never woke up and ended up sleeping almost all the way to the race. Our drive started in the dark. I picked one of my favorite iTunes playlists and off we went. My preschooler was wide-eyed and talked to me the whole way there. Each time we slowed down to pass through a sleepy little town, she would peer out the window and look at the storefronts and ask if we were there yet. We made it to the race location with a little more than a half hour to spare. Once we pulled into the parking lot, I changed them out of their pajamas and into their race gear in the car. Then, we headed indoors to registration. The Mayhaw Festival 5k had less than 100 runners, so it was indeed a small race. We started the race at the back of the pack, as usual. We weaved our way through the pack while the girls blew bubbles. The chilly morning (about 50° F) did lead to a little more whining than usual, but I did my best to finish quickly. Our finish time was just under 31:00 (I think), not our best time, certainly not our worst. We stayed around to clap for all those who won awards and then made our way to the parade and festival. About 1:00 p.m., I loaded two tired little girls up for the hour ride home. Both were fast asleep in minutes. 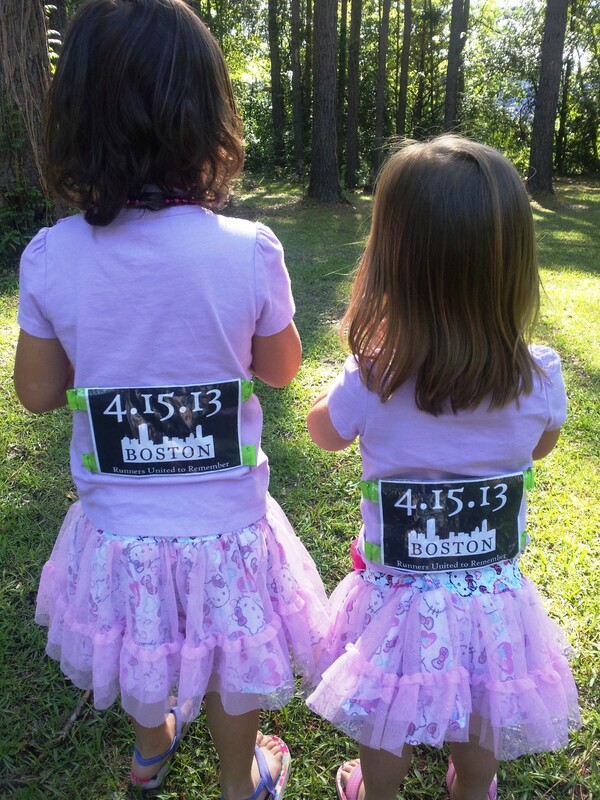 On the drive home I realized what 5k race day means to my girls…. it means an early morning adventure, like the adventures I had growing up. It means skirt day (in their minds is run day), it means adventure, and it means fun. Today, I realized that I am carrying on my father’s tradition and that I am creating adventure, excitement, and memories for them. What a cool way to create an adventure for them, in addition to a great workout! I don’t yet have a double running stroller, only a single, but I have always wanted to get one. And I loved the memories of your childhood – how cool!